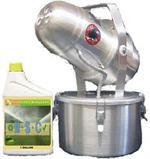 NyGuard is the Concentrated Insect Growth Regulator with the widest range of insects on its label. This fantastic IGR product is over 10 times more active than the competing Gentrol. NyGuard IGR is effective when used indoors AND outdoors and can even be used in food preparation areas! Cannot be shipped to AK, CT, HI, NY. Want to see the NyGuard IGR MSDS Datasheet? 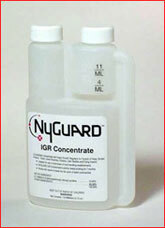 Want to see the NyGuard IGR Label?